I first read the title well over ten years ago, and I thank Ron Jeffries and his colleagues for introducing me to the idea. In the years since, many people have written volumes on how to write good user stories; I like a lot of it. We know about the Connextra format (“As a (role)…”), INVEST, Fit and Gherkin/Cucumber scenarios, and everything in between. Despite so many people obviously knowing so much about the topic, I see clients routinely struggle with stories. 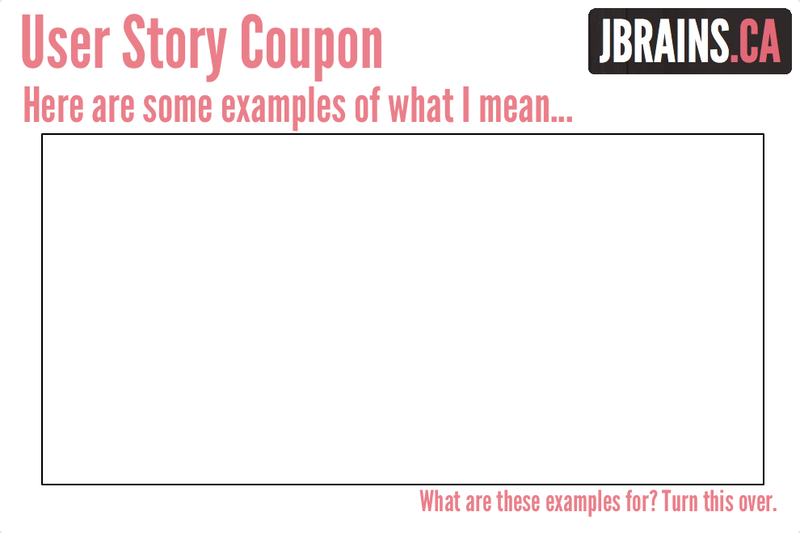 To try to simplify the situation, I offer you the idea of a user story card as a coupon. 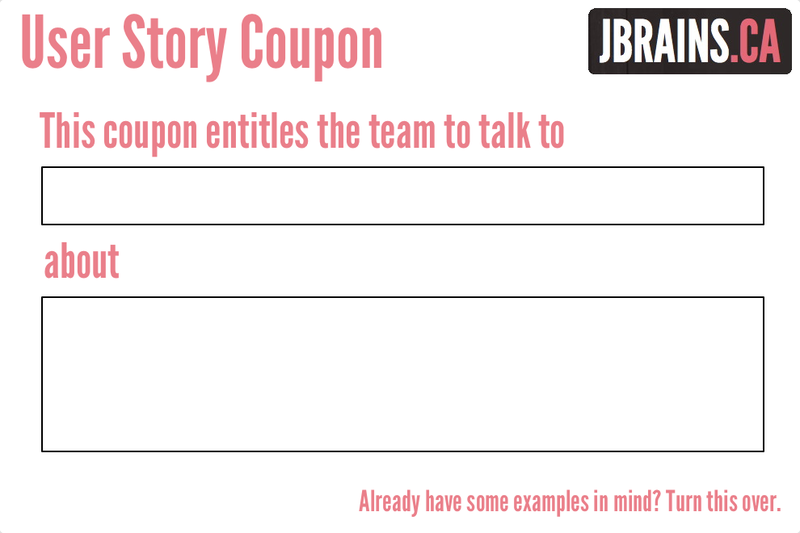 I even made these nice coupons for you to download, print two-sided and use on your teams. I hope they will help the team focus on the user story as a reminder to talk about the story, and nothing more. Just try it, and tell me what you think. Do you need help with user stories, but can’t afford thousands of dollars to hire a consultant for an on-site visit? Hire me as a part-time adviser for a much lower price than you’d expect. I remember the phrase “token for a conversation”, but Ron wants to edit it, possibly retroactively. I’m in. 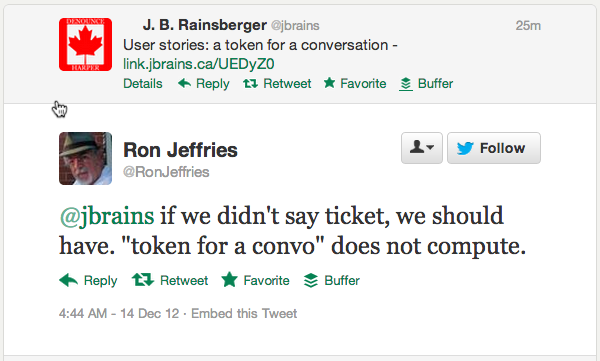 “Ticket for a conversation” sounds good, too.